Summer is here: the sun is hot and the kids are squealing. Everyone else seems so excited for summer… so why are you dreading it? 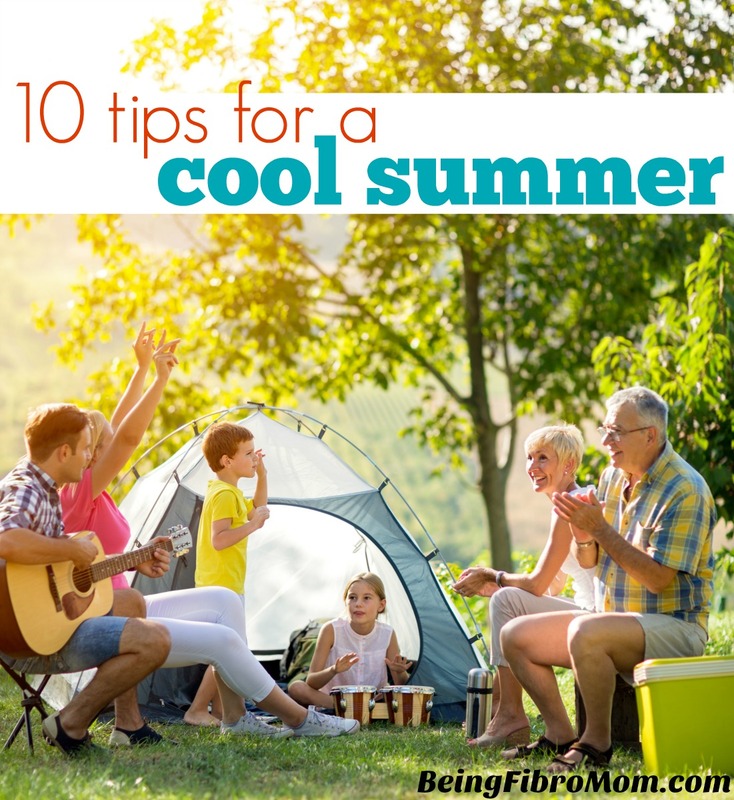 Here are 10 tips for a cool summer for you and your family. This article first appeared in The Fibromyalgia Magazine, June 2017. Get the digital copy of the magazine from Pocketmags. If you are living with fibromyalgia, dealing with the heat is enough of a battle, so adding in the challenges that go along with the kids’ break from school can be tough for fibro parents. In an ideal world, we would be able to just stay inside from the oppressive bright light and heat while all our kids lived harmoniously together. The summer would be one long air-conditioned Saturday filled with watching movies, snuggling with our kiddos, and enjoying the family time. Sounds heavenly, doesn’t it? But if you’re like my husband and me, at the beginning of each summer, we break our necks to create a detailed list of activities for the family. Afterwards, we are ready to take on the coming months, full of energy. However, by the end of July, we realize that we haven’t done anything on the list; we have just taken each day as it came. Regardless, the kids always have a great time, and that’s what matters to my husband and me. Looking back on past summers, I wish we would have taken a more relaxed approach and just had some guidelines in place rather than a detailed to-do list that only stressed us out. 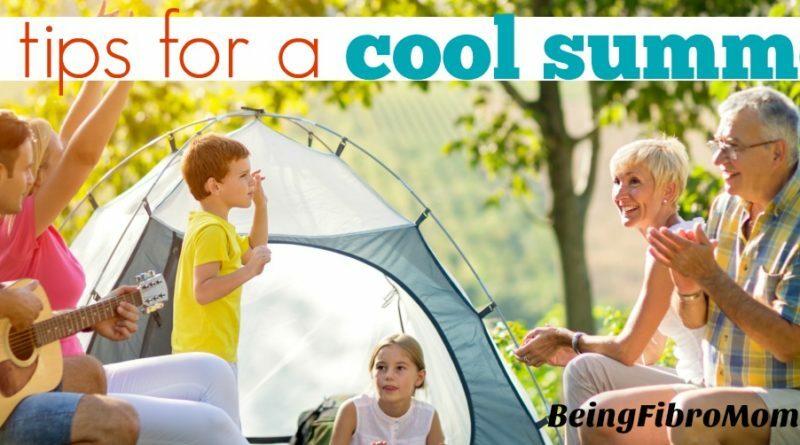 Keeping this relaxed approach in mind, and with so many days of heat ahead of us, here are ten tips for a cool and refreshing summer that will keep your kids having fun and staying happy. And hopefully, they will help you look forward to summer again! …while they may be warm and enjoyable now, the ultraviolet, or UV rays can cause severe long term health effects if you don’t protect yourself. They can easily penetrate the top layers of skin, reaching down to the deeper layers. Prolonged exposure to these UV rays can cause skin cancer, the most prevalent cancer in the United States. To stay protected this summer, slather the sunscreen on you and your family. The best sunscreen is one with a sun protection factor (SPF) of 30 or greater (for the UVB rays) and zinc oxide (for the UVA rays). Apply 20 minutes before sun exposure and every two hours after that for as long as you are in the sun. 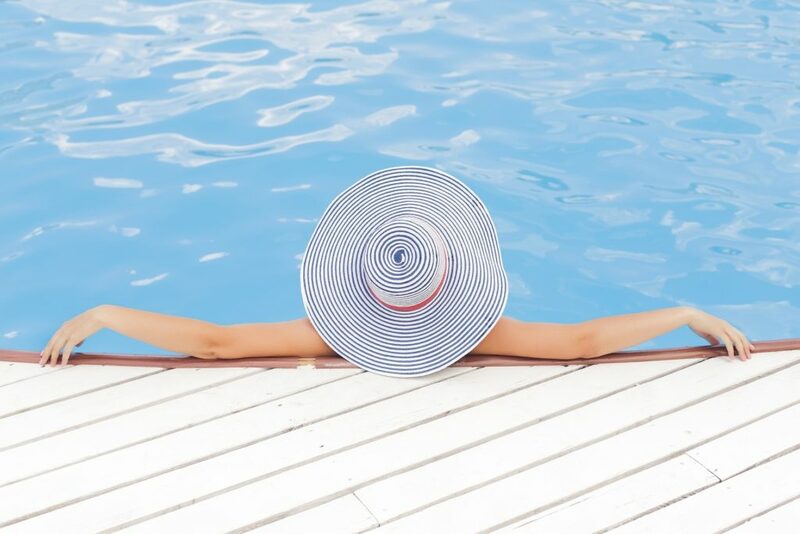 Going to the pool can be a real treat for my kiddos and me, but I always stay alert at the pool no matter how experienced my kids get each summer. My kids are still learning to swim, so they are always supervised by either my husband or me, and we stress to them the importance of following pool rules, such as no running around the pool deck. We reinforce this each time we head to the pool. I get a lot of eye rolling and “I know, mom” from them, but I’d rather that than risk someone getting hurt. Drowning can happen fast, and it’s more common than you might expect. According to the Centers for Disease Control and Prevention, drowning is the fifth leading cause of accidental deaths in the United States. Stay safe at the pool and avoid becoming a statistic. These few basic precautions will help keep you and your family safe during the long, lazy days. No matter what your plans are for the summer months, remember that a safe summer is a fun summer. No matter how much my kids love to play outdoors with their friends and siblings, the hottest times of the day between noon and four can be unbearable. During these times, I encourage the kids to play indoors with their friends. You can imagine that having five children of my own plus a handful of friends under one roof can be a bit much for my sensory sensitivity and anxiety. Luckily, I have found a compromise: quiet indoor activities. My kids don’t enjoy playing their mobile devices for extended periods of time, so having quiet indoor activities at the ready is a must for my sanity. Find more ideas visit 10 Fun, Quiet Indoor Activities for Kids . Paper plate toss: Cut out the middle of paper plates and try to toss them onto an empty paper towel tube. Ball toss: Throw a ball into various sized buckets lined with a cloth to minimize the sound. Balloon tennis: Hit balloons with fly swatters for a quiet game of tennis. Even when my kids are outside playing in the less oppressive morning or evening hours, the scorching sun can still be a lot to bear. They can become cranky and miserable, too, as the hours outside add up. 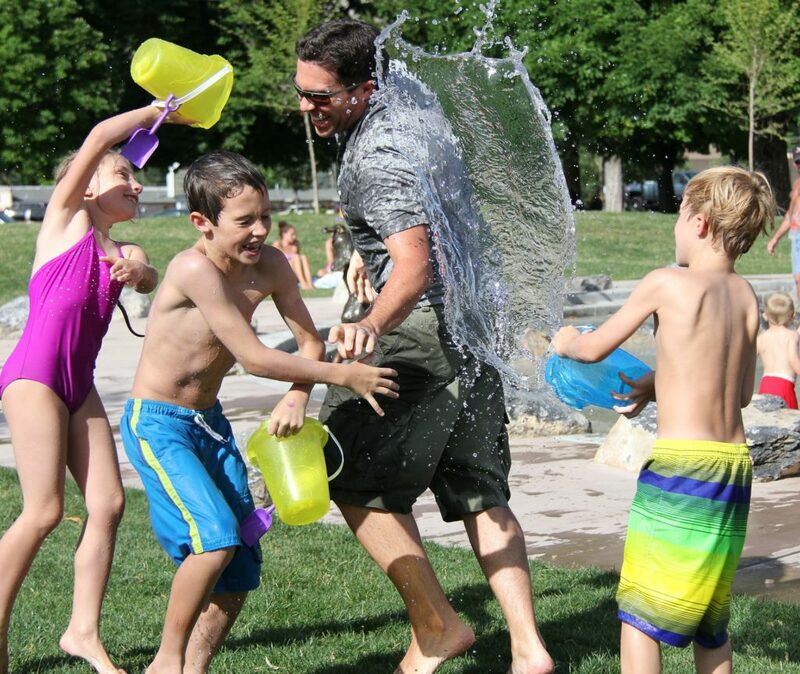 Keeping the kids cool with water games makes it fun and refreshing for everyone! Some ways to keep cool include filling a pool with water for wading and splashing, turning on a water sprinkler, or having a water balloon or water gun fight. Frozen treats such as fruit popsicles always helps, too. Choose whichever works best for you; just keep the kids cool and hydrated while having fun outside! Here are some ideas on my Pinterest board! In my article, Why Routines are Important with a Chronic Illness, I stress the importance of having a routine rather than a schedule. A schedule is a set of activities done at specific times, while a routine is a set of activities done regularly, but at no specific times. It’s essential to know the difference because a schedule can dominate your day making it stressful to cope with day-to-day activities. A routine is your habit of doing certain tasks during certain times of the day. For example, brushing your teeth and getting into bed around nine or so each night is a routine, not a schedule. Having a routine during the summer will make it easier during those lazy days and keep away any stress of activities. Waking up, eating meals, and going to bed around the same time each day are the essentials. It’s a framework of what each day will look like. No matter what you fill in between those necessities, the kids can still rely on waking up, eating, and going to bed about the same time each day. 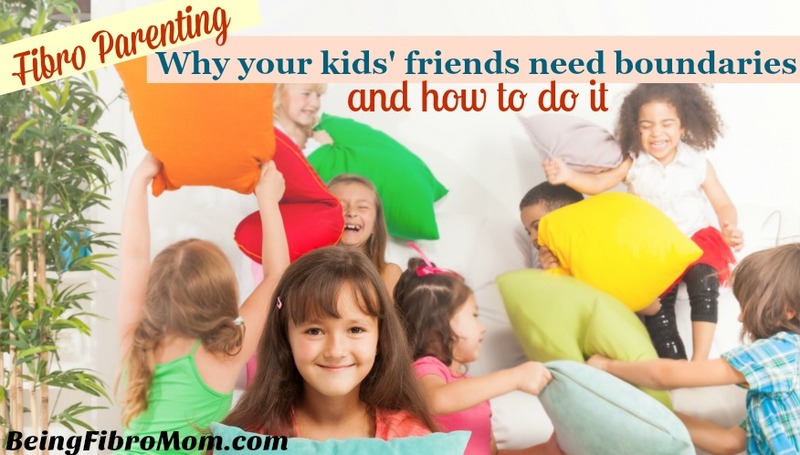 The routine will keep the kids from getting too restless and acting out from the unknown. It’s also a bonus for us with fibromyalgia, as it minimizes flares of body aches, fatigue, and tense muscles. Keeping a Summer Bag in the car always is something I started a few years ago after my youngest daughter was born. At the time, we lived at the top of Apple Mountain that had a river running along the base of it. When my sister would visit, we would spontaneously take the kids to the river to wade after a day of errands in town. Being that we lived all the way at the top of the mountain, we wouldn’t go home just to get clothes, towels, or sunscreen. I would inevitably end up driving home with five sunburned, soaking wet kids. Check out these cool waterproof summer bags! At first, this random bag in the car drove my husband nuts. It always would get in his way when loading groceries or other items into the trunk. He doubted the bag’s utility, and he implied that I never even used it. I couldn’t blame him, though. He works all day, so he hadn’t been burned (pun intended) as many times as I had without it. But one day, during a spontaneous trip to the beach, he thought the trip was ruined because we had no extra clothes or towels. Enter the Summer Bag, and voila! There was everything we needed. He has never doubted the bag again. Remember that the summer is about having fun and enjoying the break from school. These first five tips will help everyone relax during these next couple of months. The kids will have a fun time and get tired enough for bed. A great day is one that ends with a kid falling asleep as soon as their head hits the pillow at night! Be sure to check back next month for the second part of 10 Tips for a Cool Summer! For all the activities listed above and more, please follow my Summer Fun Pinterest board. Thank you, Julie, for your kind words! I appreciate you reading my articles.